It has also uncovered how some IPOB members have invaded Nigerian embassies in Hong Kong and Spain and created some scenes in the last 72 hours. The development, security sources said, was an indication of the desperation of IPOB and the justification for the proscription of the organisation. But the French Ambassador to Nigeria, Mr. Denys Gauer on Friday met with the Minister of Information and Culture, Alhaji Lai Mohammed. Although the outcome of the meeting between the two leaders was kept under wraps, Gauer was said to have reassured the Federal Government that France would not support any terrorist group. It was learnt that the French government promised to take action as soon as the IPOB’s slush account was known to it. A top security source, who spoke in confidence, said: “Intelligence gathering has led to the discovery of an account in Paris into which some Nigerians in the Diaspora remit funds to support IPOB. “From the said account, funds were being drawn for the activities of IPOB at home and abroad. The relevant security agencies did a thorough job and provided incontrovertible evidence on the basis of which the government proscribed the terrorist organisation. “Investigations also confirmed inflows into the account from Holland, Hungary, Hong Kong, Malaysia, Turkey, Singapore and other parts of Europe. “In fact, a football tournament was recently organised in Senegal to raise funds for IPOB. “As a matter of fact, the account is being used to get money from a lot of people in the Diaspora. But the government was also concerned that IPOB members were becoming desperate after the clampdown on the terrorist group. The source said: “IPOB members are becoming desperate in the last 72 hours. About two days ago, some members of the terrorist group breezed into our Embassy in Hong Kong under the pretence of renewing their passports but ended up staging a protest. But a source said: “The Ambassador actually told the minister that France would never condone the activities of any terrorist group, including IPOB. “He recalled that France has always been at the receiving end of terrorists and so cannot under any circumstances back IPOB. “He restated the determination of the French government to support any policy or initiative which will strengthen Nigeria’s unity. The source said the minister also reiterated that he “never said that France was supporting IPOB, because there is a robust relationship between France and Nigeria. “We can never accuse France of collaborating with terrorists, because it has been assisting us in tackling Boko Haram insurgency. 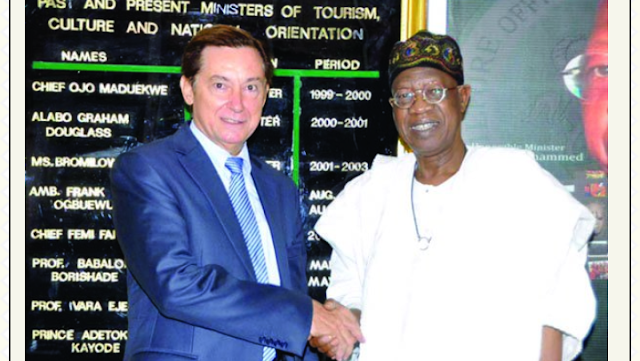 “France played a major role in setting up and managing the operation of the Multinational Joint Task Force (MNJTF).